For many, the word dyslexia represents painful struggles with reading and speech that impact their self-confidence –- 20 percent of school-aged children and over 40 million adults in the U.S. are dyslexic. Dyslexics are often very intelligent and can learn successfully with appropriate teaching methods, but early diagnosis and intervention are critical. UC San Francisco (UCSF) researchers in the Dyslexia Program aim to predict whether children will develop dyslexia before they show signs of reading and speech problems, so early intervention can improve their quality of life. In a recent longitudinal study, Hoeft’s research team studied 38 young children using structural MRI to track their brain development between kindergarten and third grade as they formally learned to read in school. The participating children were healthy, native-English speakers with varying preliteracy skills and family histories of reading difficulties. They had MRI brain scans at age 5 or 6 and again 3 years later. At both time points, they also completed a battery of standardized tests, including reading and cognitive assessments. In particular, the researchers were interested in the children’s white matter development, which is critical for perceiving, thinking and learning. They found that volume changes in the left hemisphere white matter in the temporo-parietal region (just behind and above the left ear) was highly predictive of reading outcomes. This region is known to be important for language, reading and speech. Using MRI brain scans to measure these developmental changes improved the prediction accuracy of reading difficulties by 60%, compared to traditional assessments alone. “What was intriguing in this study was that brain development in regions important to reading predicted above and beyond all these (other) measures,” said Hoelt. Despite this predictive relationship, MRI brain imaging is unlikely to be a widespread means of diagnosis because of cost and time constraints. Instead, the researchers hope their findings lead to further investigation of what may be influencing the brain during this critical period of reading development. 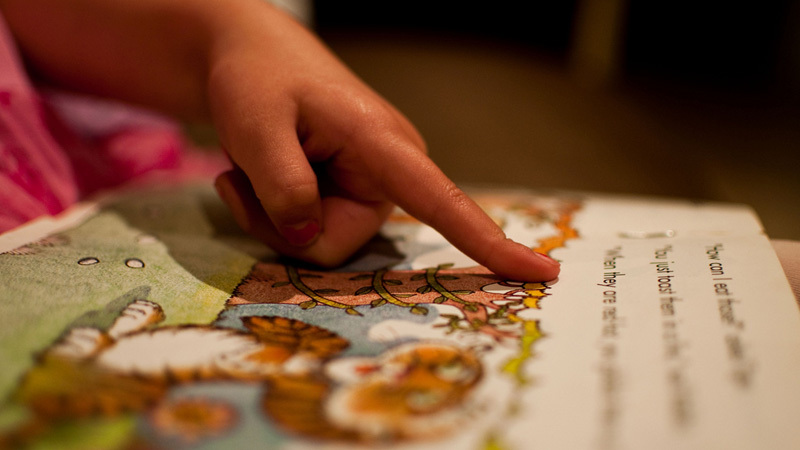 The UCSF Dyslexia Center is also investigating cheaper methods for early diagnosis of reading problems. For example, they are collaborating with research labs worldwide to construct growth charts for the reading brain network, similar to those one would find in a doctor's office for height and weight. Since screening for reading disorder risk is currently a resource-intensive process, UCSF is also developing a tablet-based mobile health application that could be used by schools or parents as a fast, easy and cheap screening tool. UCSF researchers hope that understanding each child’s neurocognitive profile will help educators provide improved, personalized education and interventions.